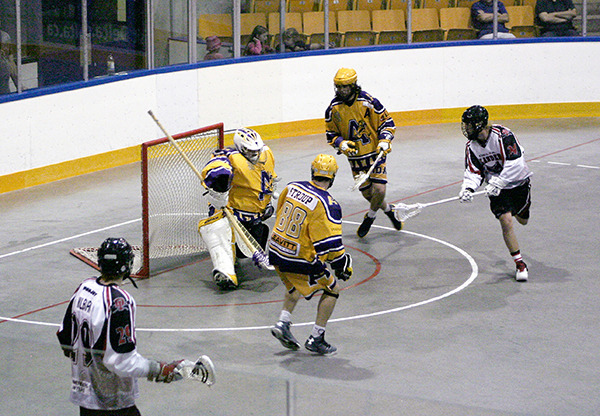 The Delta Islanders Junior A lacrosse team won the B.C. championship and will compete in the 2016 Minto Cup - both firsts for the club. The Delta Islanders celebrate winning the clubs first B.C. Junior A Lacrosse League Championship after defeating the Coquitlam Adanacs in a marathon best-of-three series on Aug. 9. The team will compete in its first Minto Cup (the Canadian Junior A lacrosse Championship) in Langley on Aug. 20. This season is one lacrosse fans in Delta won’t soon forget. For the first time in the club’s history, the Delta Islanders are the British Columbia Junior A Lacrosse League champions and will compete for the coveted Minto Cup in the 73rd Canadian Junior A lacrosse Championship. The Islanders finished the regular season ranked second in the league with a record of 15-6-0, two points ahead of the New Westminster Salmonbellies and 12 points behind the undefeated Coquitlam Adanacs. Islanders captain Brad Hofmann credits the entire team’s work ethic for the season’s historic finish. The team’s chemistry was on display as they faced the Adanacs in a three-game playoff to determine which team would be crowned B.C. champion. On Tuesday night, both teams fought tooth and nail in a marathon game that went into double overtime and, in the end, the Islanders emerged victorious, beating the Adanacs 11-10 to win the club’s first-ever BCJALL championship. Both the Islanders and the Adanacs will compete in the Minto since, as host province, B.C. will have two teams in the tournament. However, going into the tournament as B.C. champs means Delta will get a more favourable matchup to start. For Hofmann, the team’s performance in the series shows they mean business and aren’t content just to make it to the Minto. This year’s Minto Cup will be held Aug. 20 to 29 at the Langley Events Centre. The tournament kicks off on Aug. 20 with the Adanacs taking on Ontario’s Orangeville Northmen at 5:00 p.m. at the Langley Events Centre, followed by the Islanders versus the Calgary Mountaineers at 8:00 p.m.